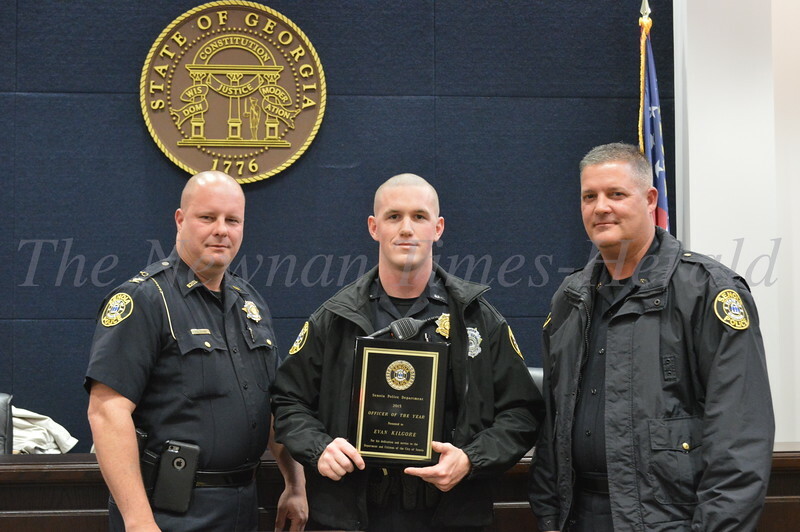 The Senoia Police Department awards Officer Evan Kilgore with 2015 Officer of the Year. 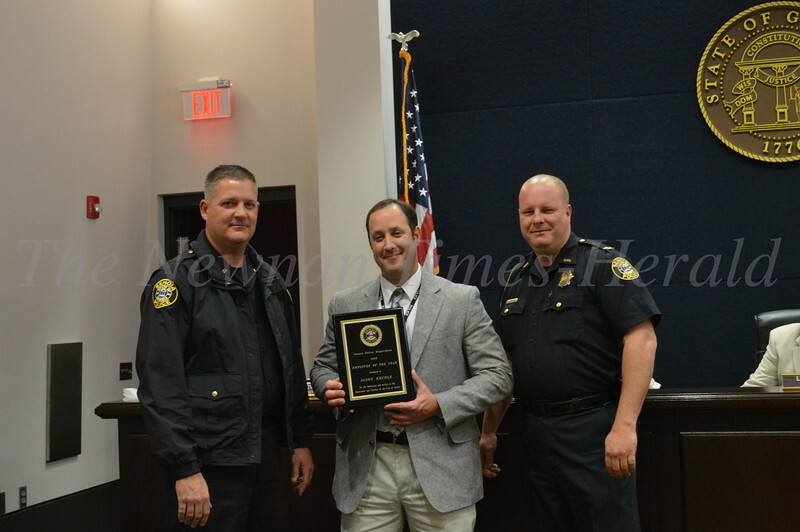 2015 Employee of the Year. 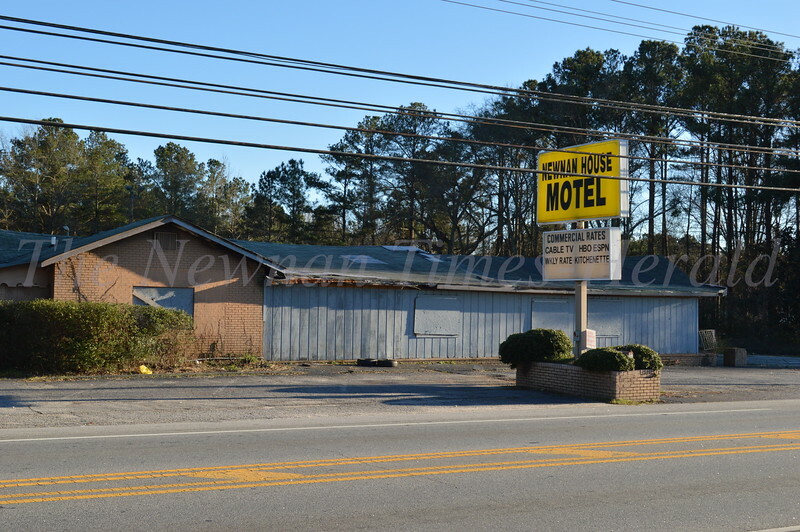 Once a popular restaurant and lodge, the Newnan House Motel is considered an eyesore by many county residents. 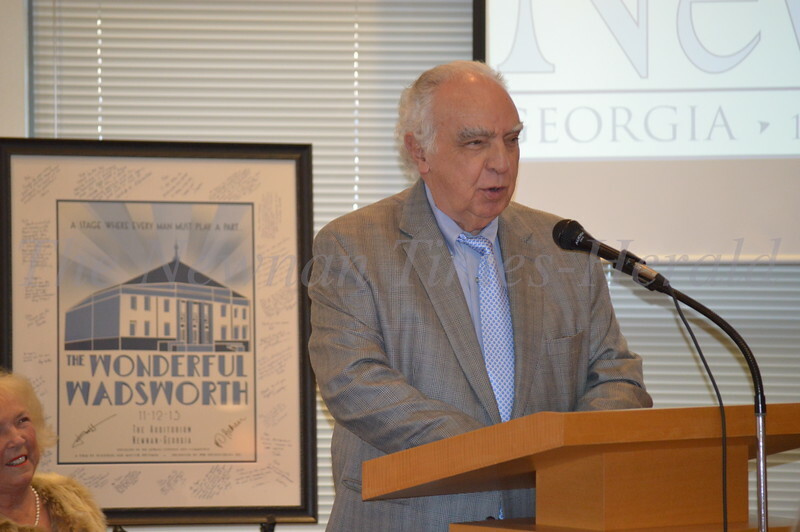 2016 Citizen of the Year, Bob Coggin, gives a speech after receiving his award. 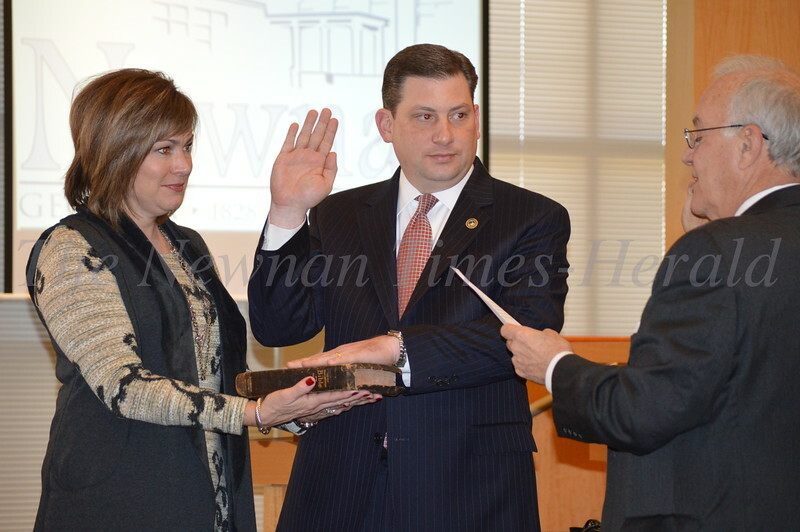 Newnan City Attorney Brad Sears, right, swears in Clayton W. Hicks on Tuesday for another term on the Newnan City Council while Hicks' wife Robyn holds the Bible. 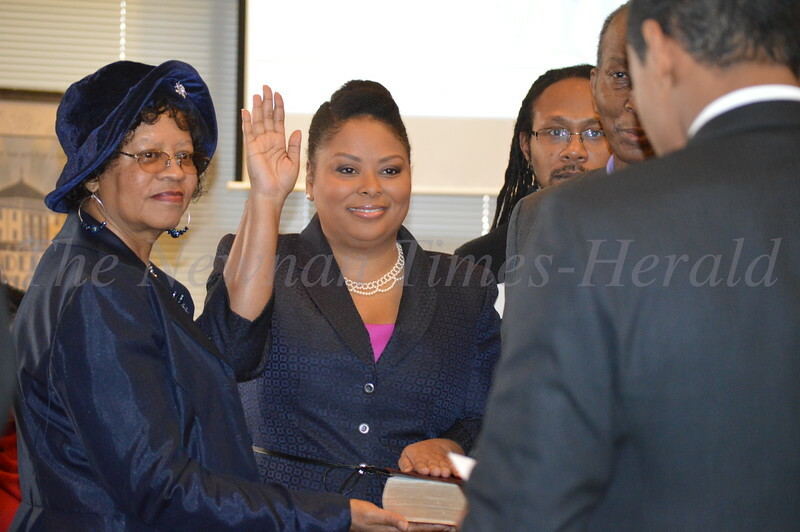 Cynthia E. Jenkins, right, is sworn in by Rev. 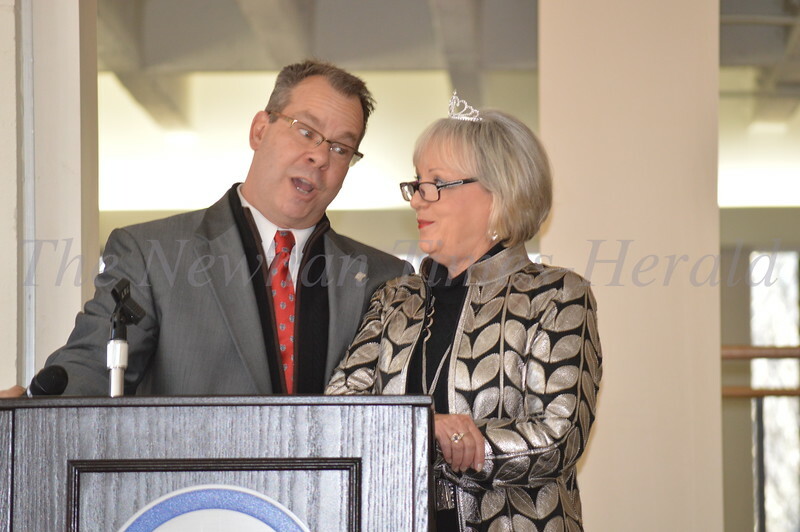 Tamarkus Cook for another term on the Newnan City Council. 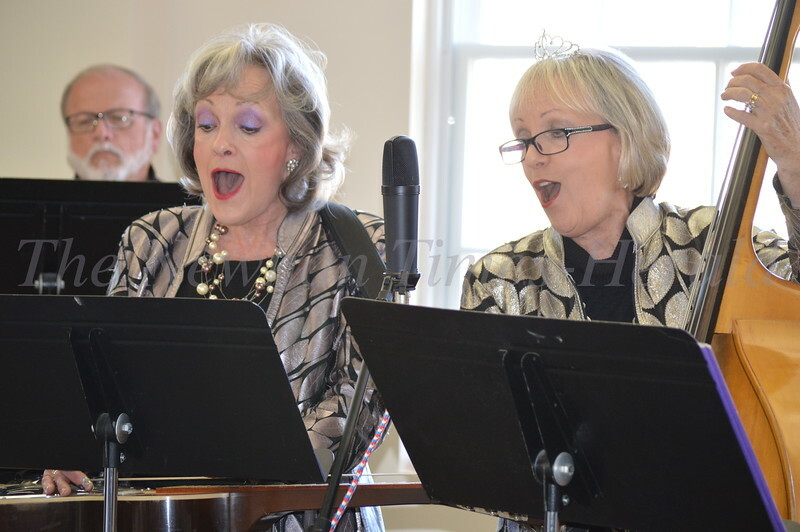 Her mother Mrs. Annie Pearl Jenkins, left, holds the Bible during the ceremony on Tuesday. 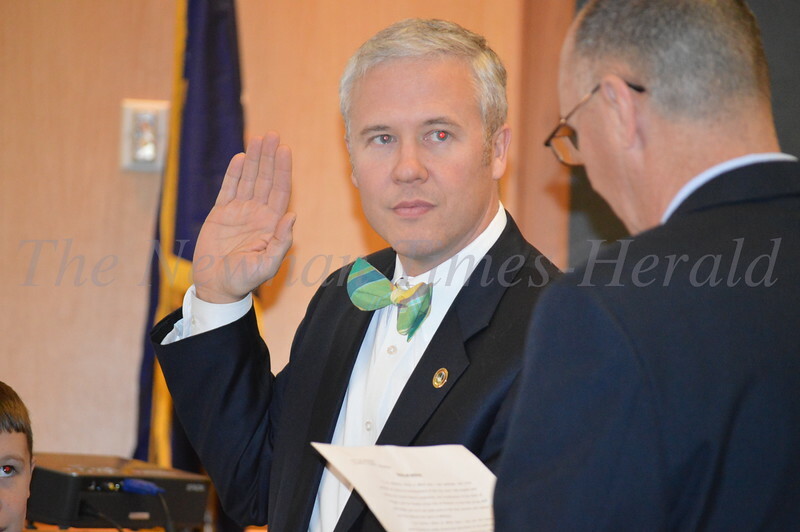 Newnan City Council member Dustin Koritko is sworn in for another term on the council. 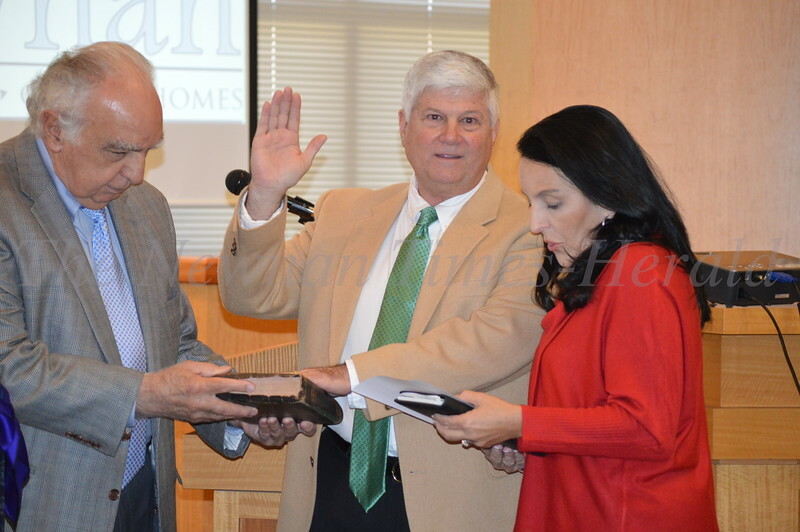 Newnan City Council member George Alexander is sworn in for another term. 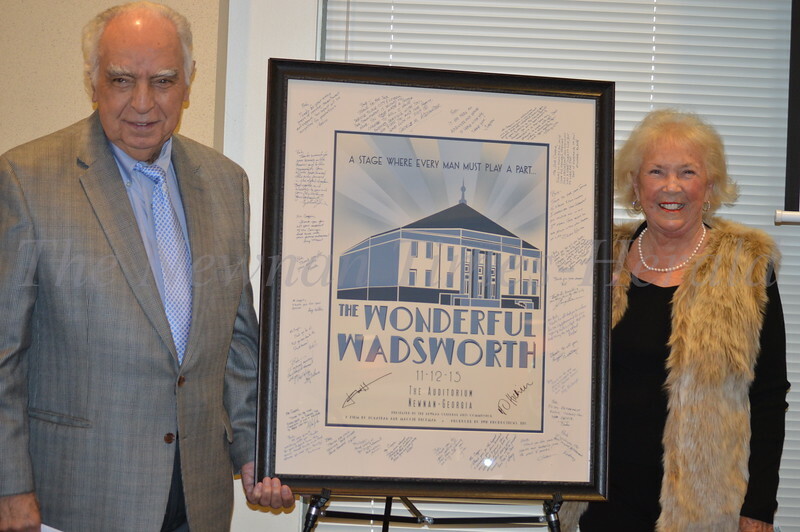 From left, Bob Coggin, Alexander, Alexander's wife Pam. 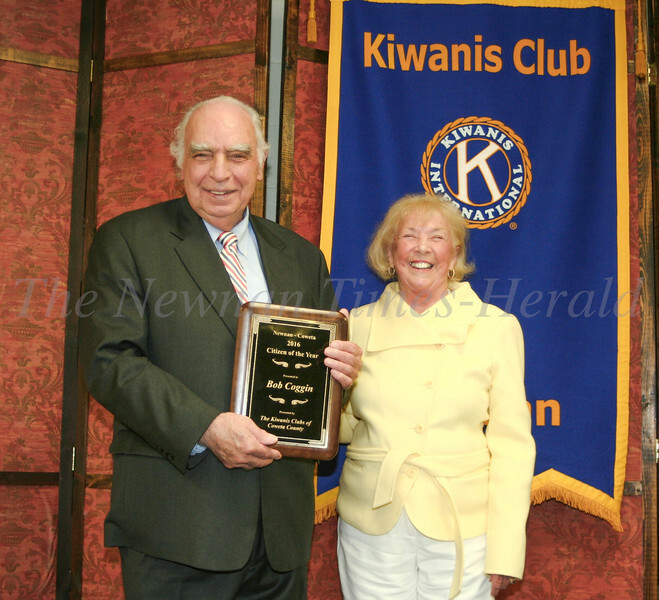 The Kiwanis Club of Coweta County presented the 2016 Citizen of the Year award to Bob Coggin in January. 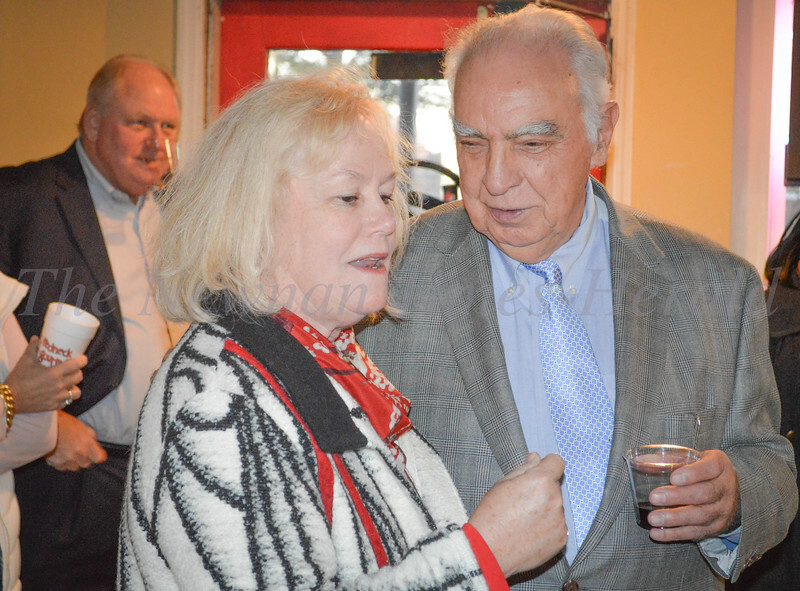 Bob stands with his wife, Millie. 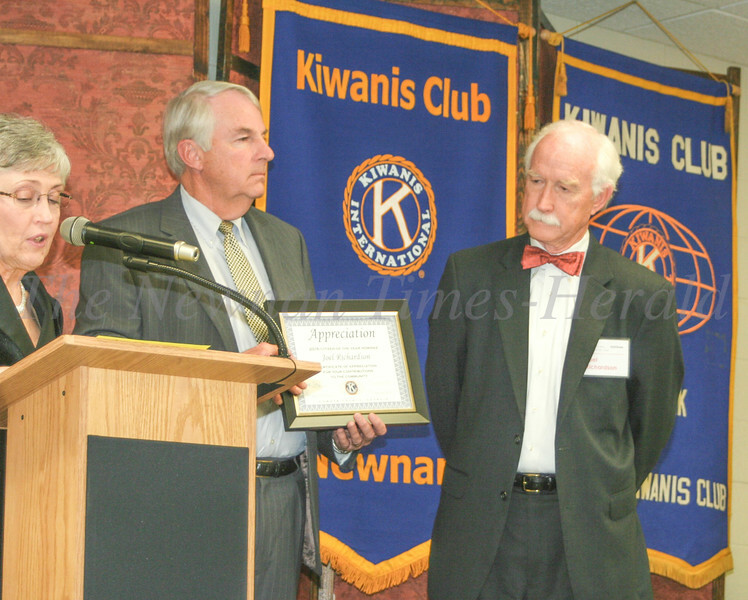 Pastor Joel Richardson, who is set to retire from Central Baptist Church after 31 years this Spring, accepts the Kiwanis Club of Coweta County Citizen of the Year Nominee for 2016. 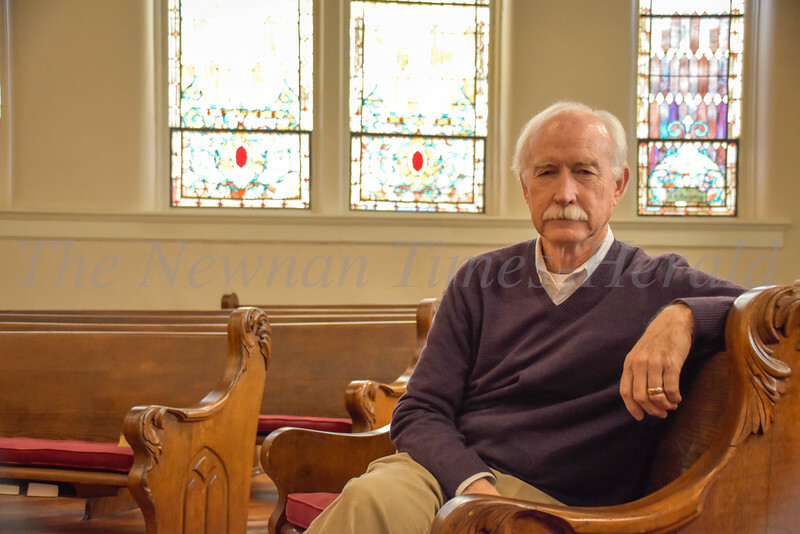 Pastor Joel Richardson will retire in the Spring of 2016 after 31 years of service at Central Baptist Church of Newnan. 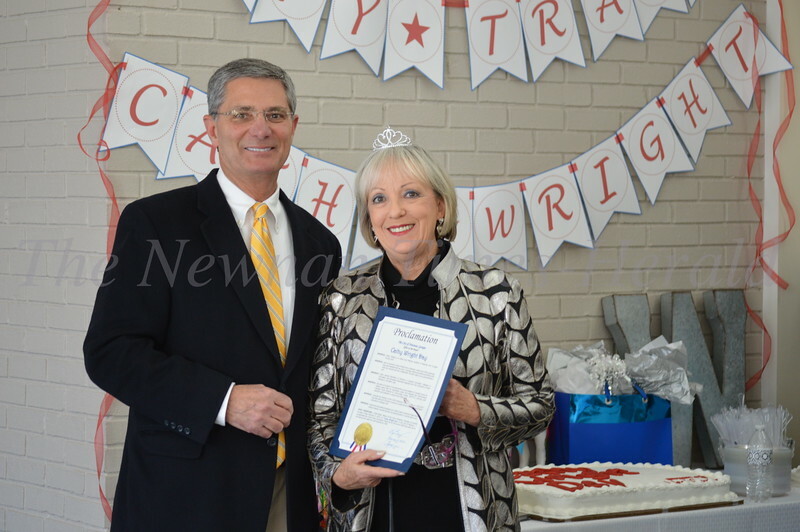 Georgia State Representative Lynn Smith thanks Bob Coggin for his service to Newnan while on the Newnan City Council. 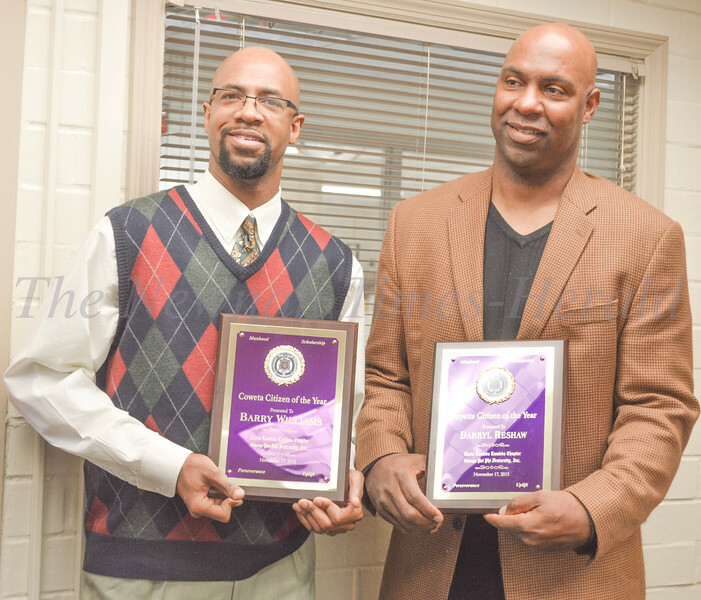 Barry Williams, left, is named the 2015 Theta Lambda Lambda, Omega Psi Phi Fraternity, Inc., Citizen of the year. 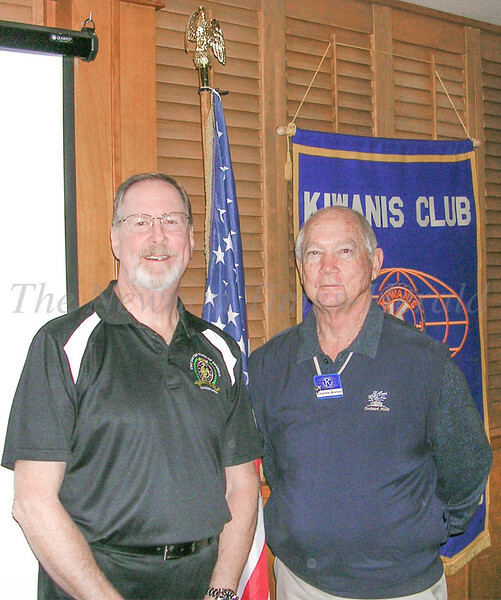 Darryl Reshaw, right, is named its citizen of the year for Fayette County. 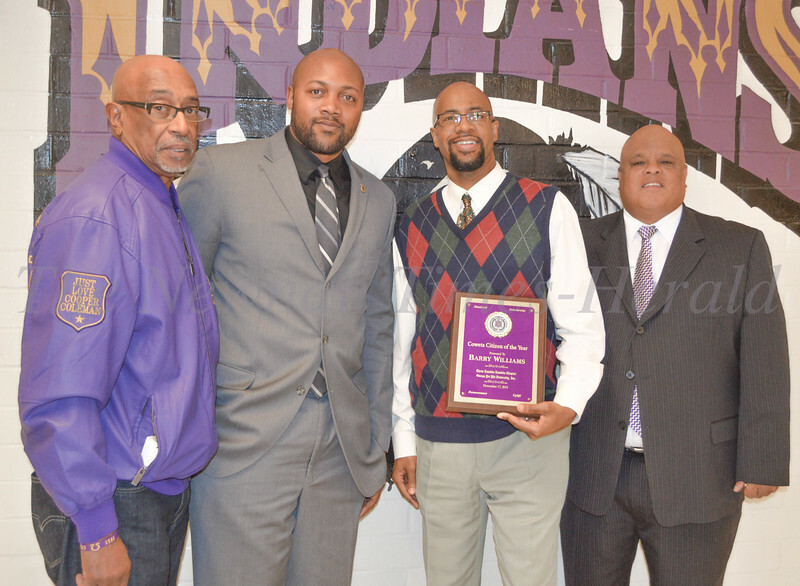 East Coweta Middle School teacher Barry Williams is named the 2015 Coweta County Citizen of the Year by Theta Lambda Lambda, Omega Psi Phi Fraternity, Inc. From left, Jerome Kirkland Sr., Chris Mosley, Barry Williams, Levi Robinson. 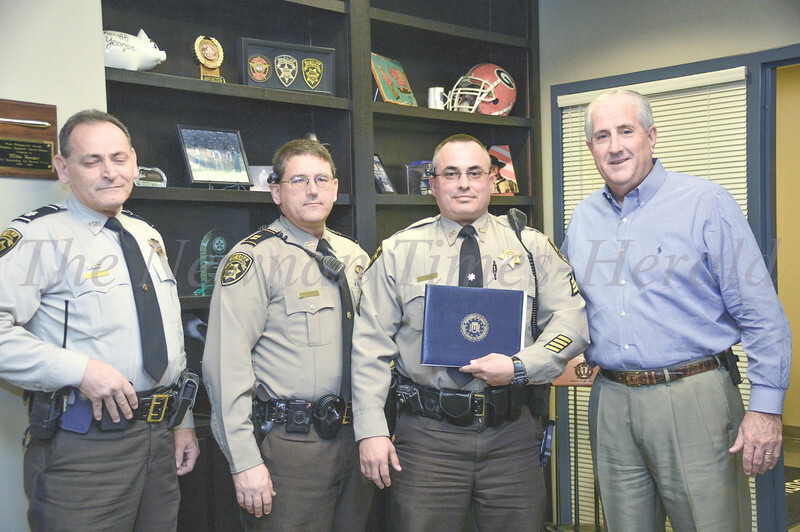 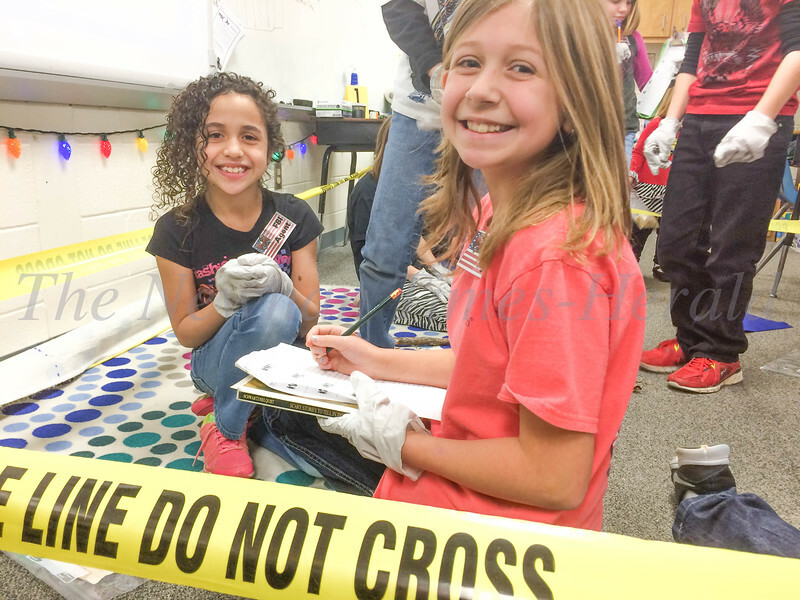 The Coweta Community Foundation’s community service team recently elected its officers at the January meeting. 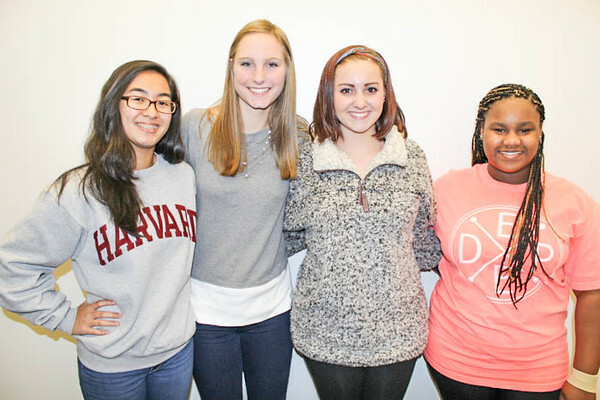 From left, chairman Sam Hyunh, vice chairman Megan Czerwinski, treasurer Chloe Epstein and secretary Tyiena Stafford. 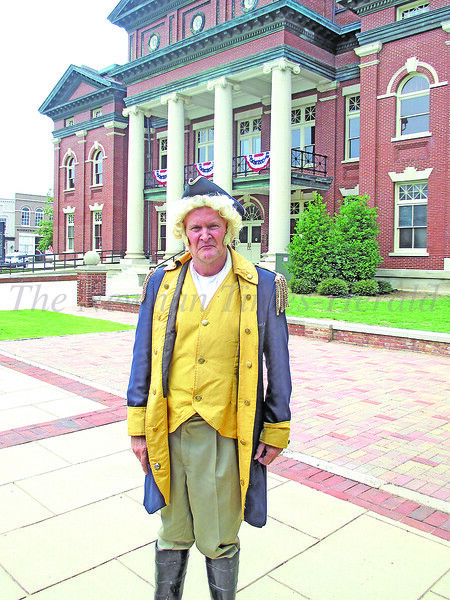 David Wilson – in his George Washington persona – pauses in front of the Coweta County Courthouse. 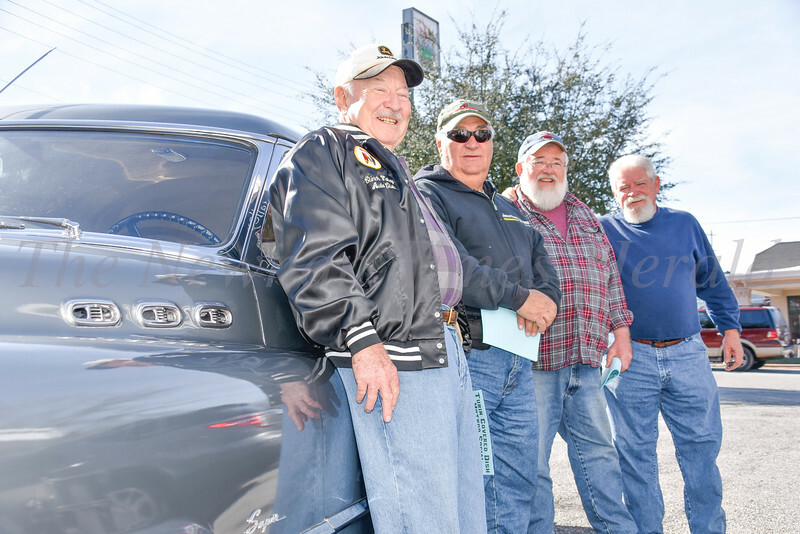 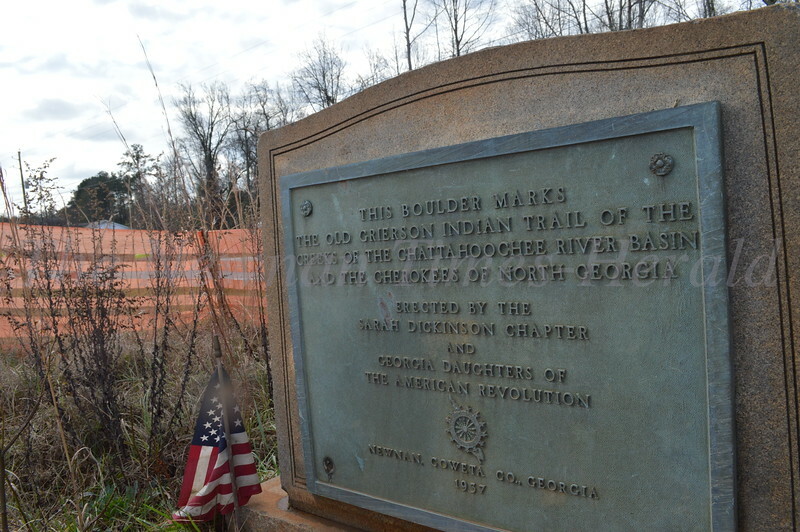 Wilson's funeral will be held today in Newnan, and he will be buried in Grantville, his hometown. 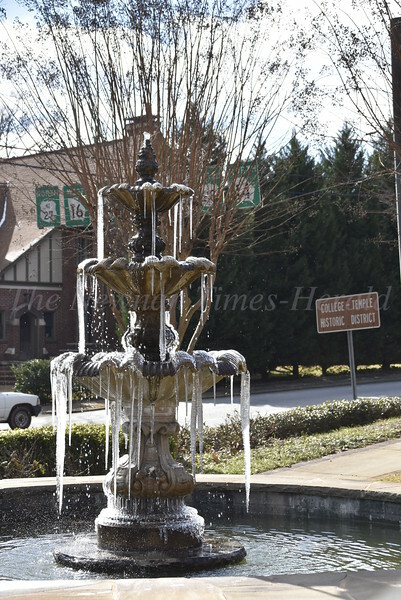 The first freeze in Newnan in early January 2016 didn't last long with temperatures reaching nearly 50 degrees by mid afternoon Saturday. 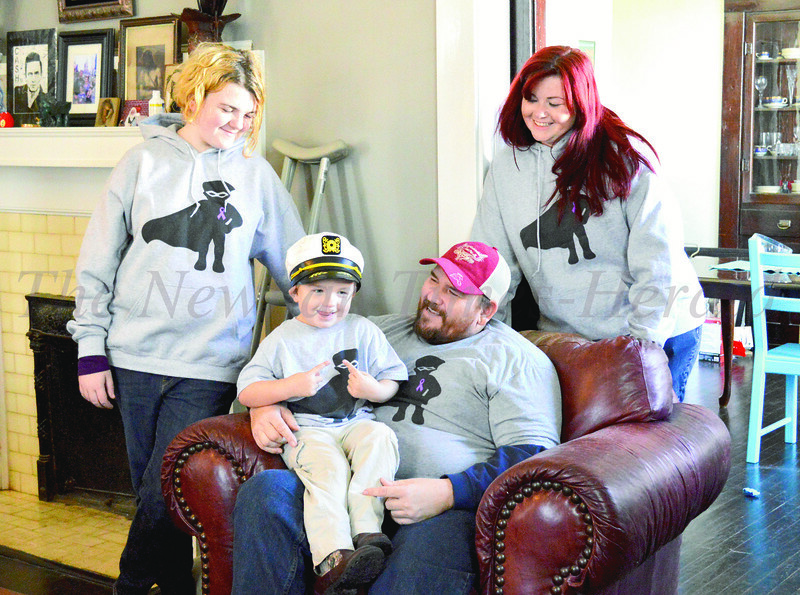 The Scharko-Fisk family: Bella, Micah, Joe and Erin, are hoping to raise $15,000 so Micah can get a seizure alert dog. 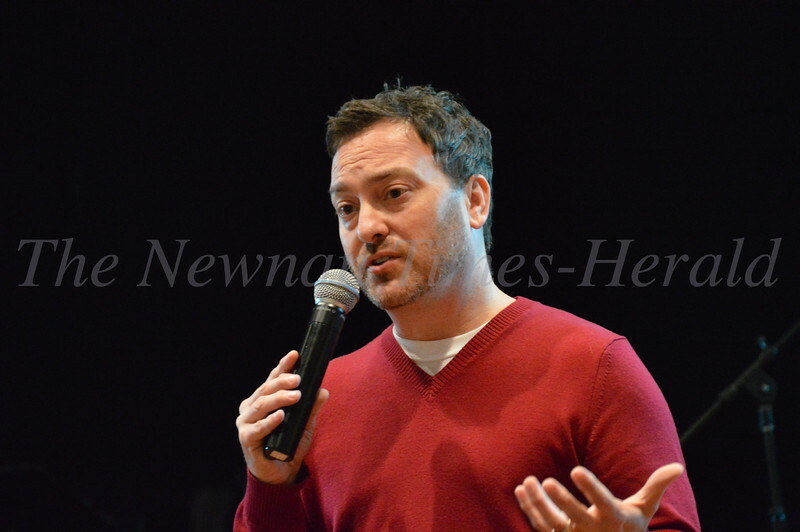 Micah Scharko-Fisk as "seizure warrior." 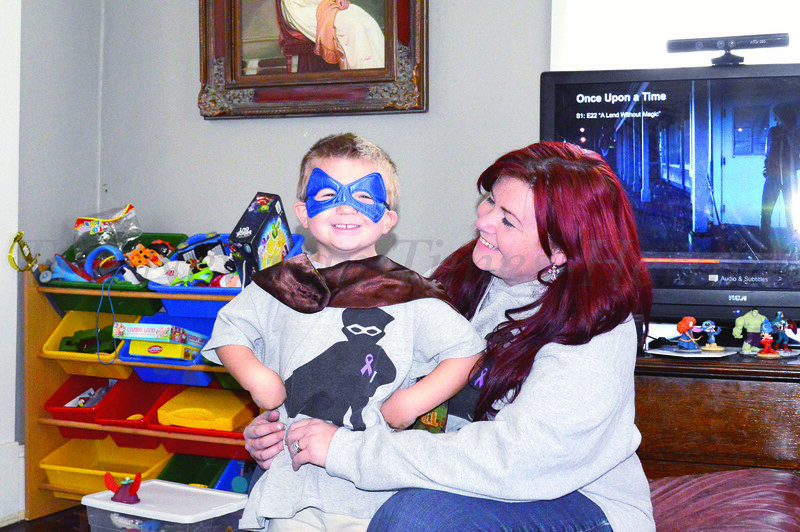 Micah Scharko-Fisk, with mom Erin, is a "seizure warrior." 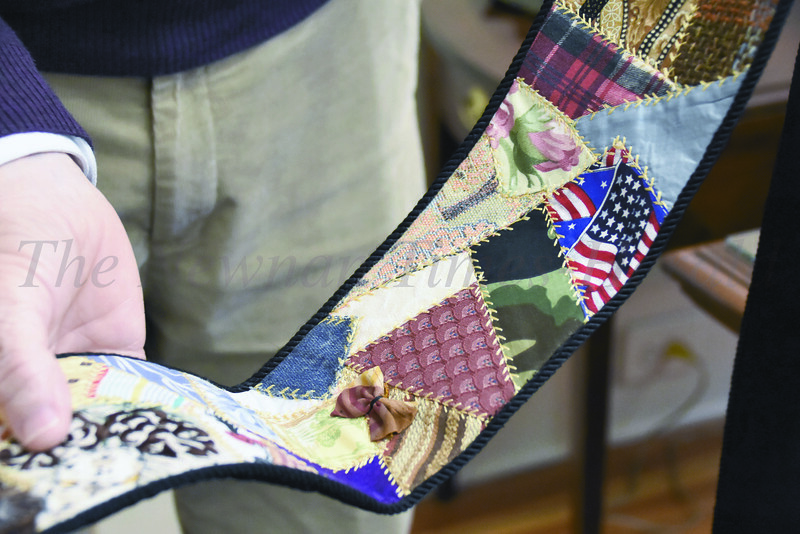 His family is raising money so that Micah can have a service dog that will alert his family before he has a seizure. 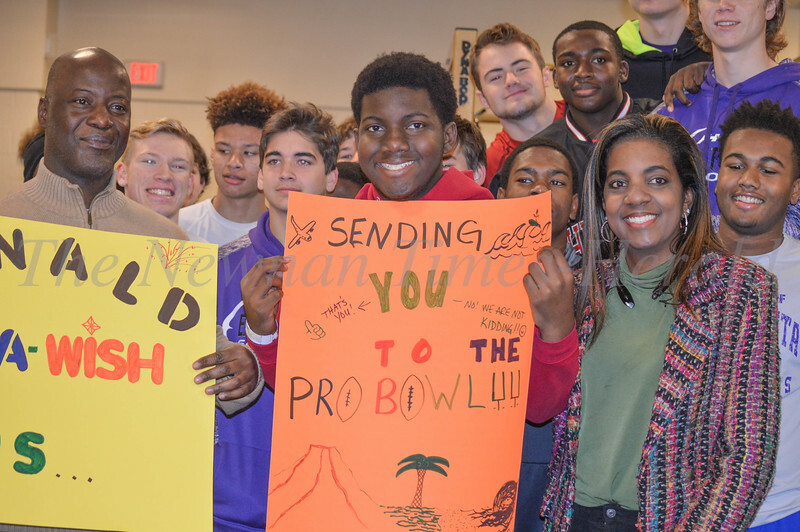 One fundraiser is the t-shirt Micah is wearing. 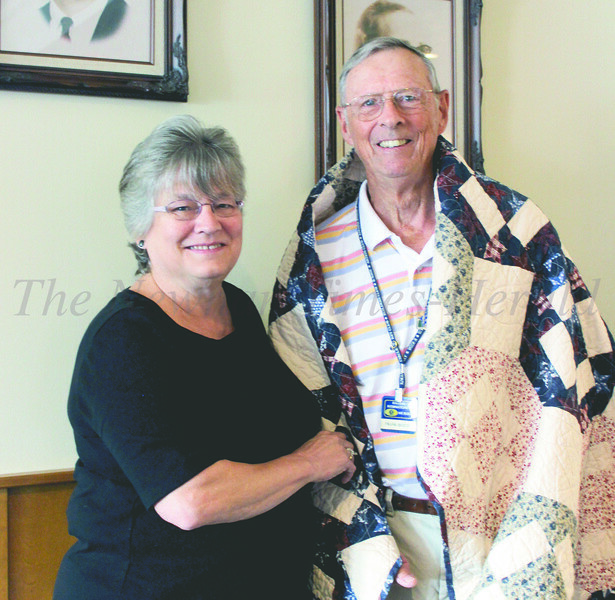 CCQV volunteer and quilt creator, Molly Dillard (left) and Vietnam army veteran Frank Reece (right). 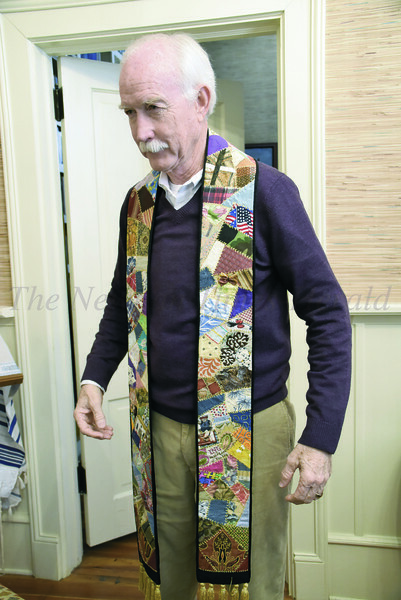 Pastor Joel Richardson shows off a special gift his congregation, friends and family created for him. 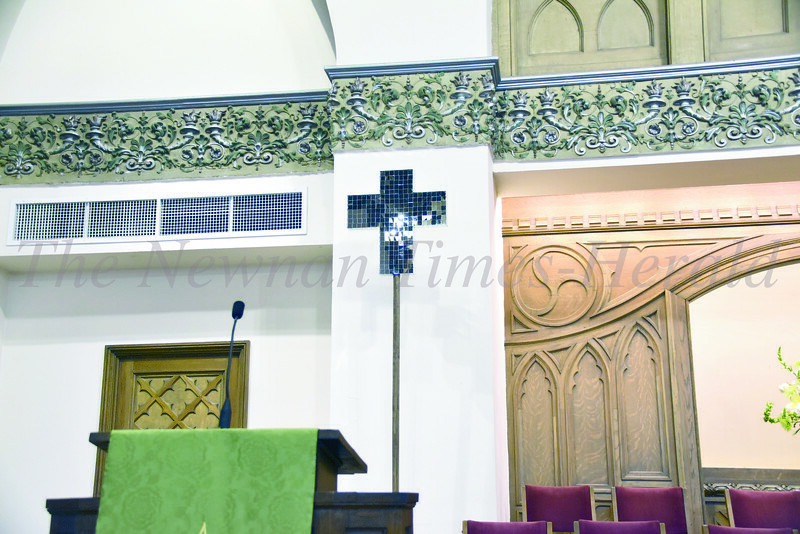 A cross designed by Don Nixon and the congregation of Central Baptist Church of Newnan.